The last few weeks I've been busy designing and knitting my first sweater pattern! 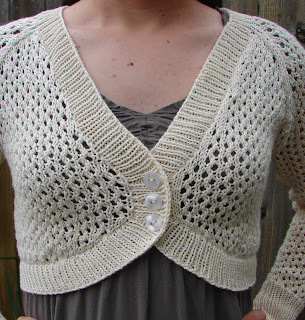 A few months ago I bought an adorable new sundress, but when I tried to find a sweater to go with it nothing worked. It has a higher waist and the skirt poofs out a bit. All the full length sweaters I tried on looked odd overtop of the skirt. And all of the cropped sweaters I found were short sleeved, not ideal for keeping you warm on a cool spring evening outside or in an air-conditioned building in the summer. I found that I had a very specific sweater in mind. After some fruitless shopping, I decided it would be easier to make my own. It also seemed like the perfect opportunity to delve a little deeper into pattern writing. This is a different dress than the original inspiration, but the color matched the Knit Picks collection better, so I went with this one for the photos. I ordered the yarn and had begun sketching what I wanted the sweater to look like when I got an email calling for pattern designs for an upcoming Knit Picks collection. After reading through the guidelines and descriptions of the collection, I realized that my sweater would fit nicely. 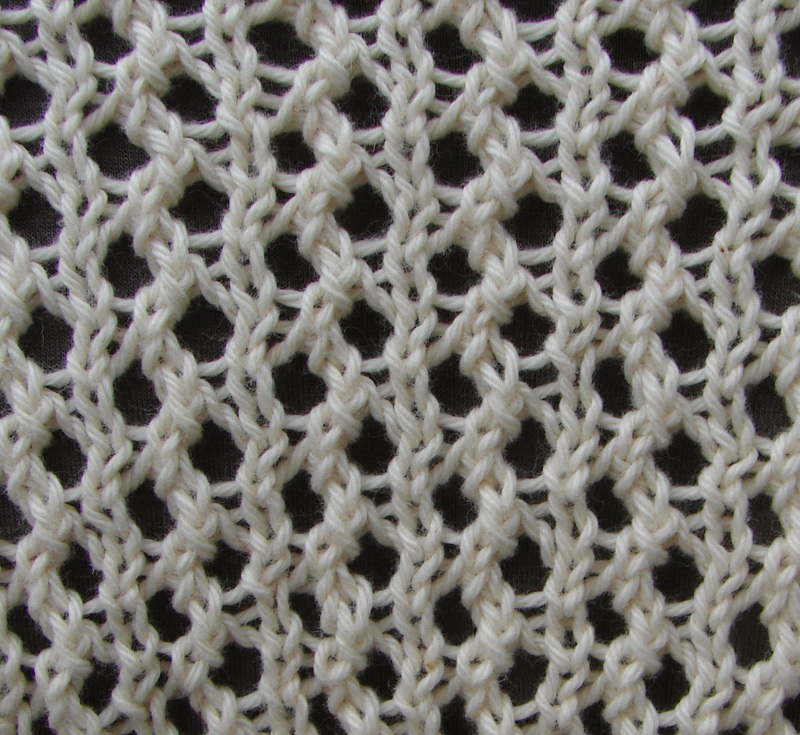 A close up of the lace pattern. And so I did some gauge swatches and some math and got started. I wrote the pattern as I went and figured out all of the increases and decreases. 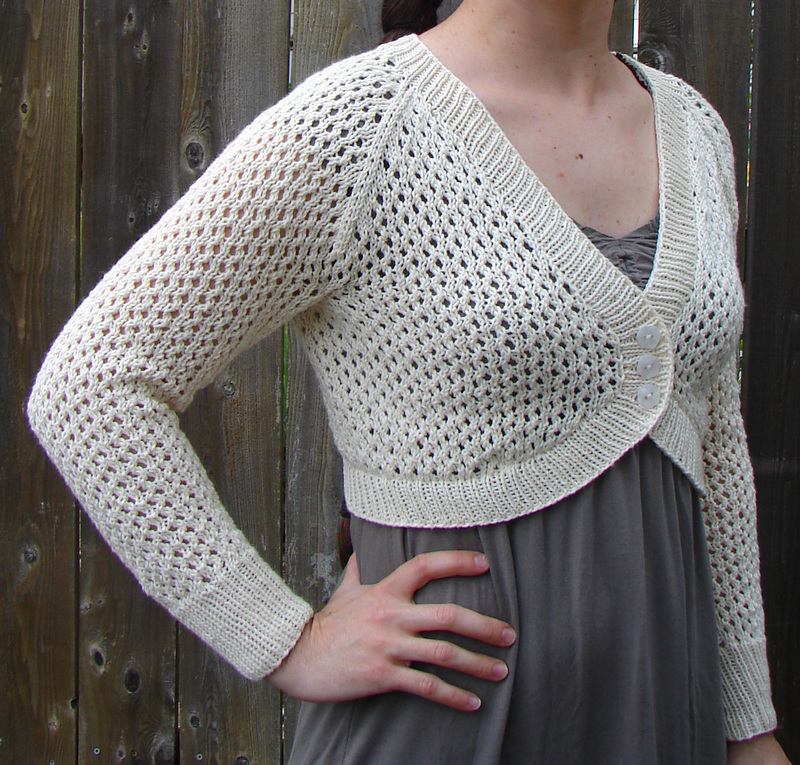 With a bit of trial and error I finished my first version of the sweater. There are a few things that I want to tweak on the pattern to make it fit a bit better, but I'm quite pleased with how it turned out! 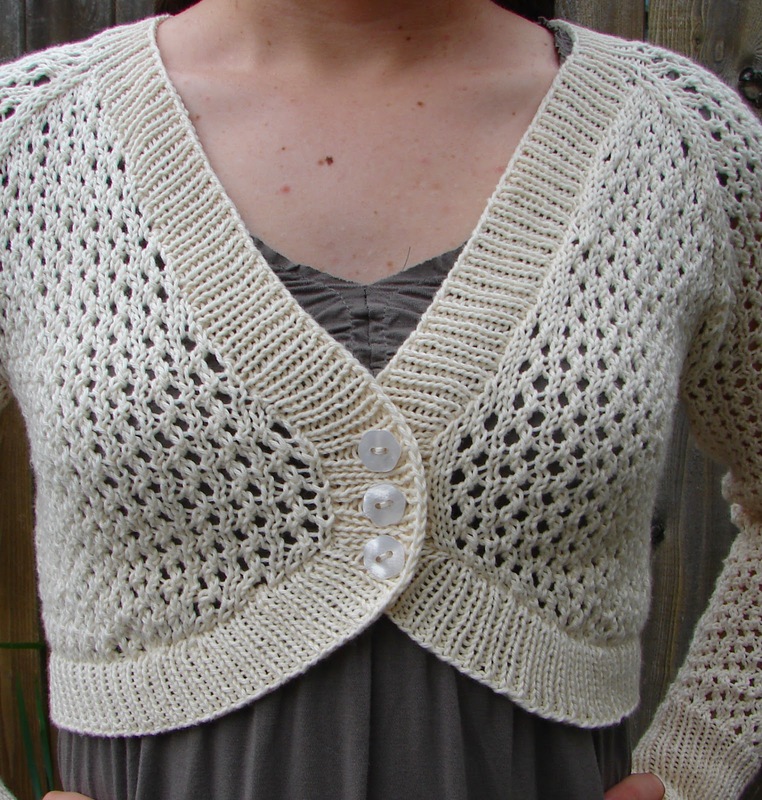 I now have a wonderful sweater that I can pair with several of my sundresses and I have submitted my pattern proposal to Knit Picks for consideration! 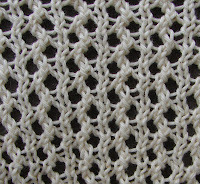 If it is accepted I will have a bit more work to do editing the pattern and making different sizes, a perfect summer project. I can hardly wait till the end of the month when they make the decision about what pieces they will include in the collection. For now I'll just enjoy wearing the first sweater that I've ever designed!